We started at the popular Wrath (named after Steinbeck’s Grapes of Wrath according to the tasting room staff) where we noted a nice 2013 Sauvignon Blanc, 2012 Chardonnay and found our favorite of the day: 2012 Syrah, San Saba Vineyard, Monterey. Then came Scheid Vineyards where we enjoyed 2011 Triple Layer Red of Grenache, Syrah and Mourvedre. Manzoni had several deep reds from the Santa Lucia Highlands: a 2012 Syrah, 2012 Zinfandel, 2012 Big Ped Red blend of Merlot, Petit Verdot, Malbec and Tannat. Enjoyed a limited release Tempranillo and a 2011 Zinfandel at Shale Canyon Wines, a winery from the Arroyo Seco AVA. Every wine they have in their current line-up is 100% the varietal on the label. Blair Estate produced several wines in the cold climate region Monterey is known for: Chardonnay, Pinot Gris and Pinot Noir. Galante Vineyards, from the warmer region of Carmel Valley served up Malbecs, red blends, Cabs and Merlot. Another I had visited three years ago, Silvestri, did not disappoint. This time we were happy with a 2013 Pinot Blanc, a Rose of Barbera and Pinot Noir grapes and a straight Barbera. A tasting room that wasn’t there when I last visited (more tasting rooms keep springing up!) is De Tierra Vineyards. The young winemaker had several wine club members/fans to tell me what their favorites were. I had to agree that the 2013 Riesling was delightful: more akin to a dry German-style Riesling as this wine was not cloyingly sweet. The aromatics alone were worth savoring, and the taste was a great refreshing end to our day. Never been to a 5-acre “roadhouse” restaurant before so I wasn’t even sure what to wear to Tarpy’s Roadhouse for our dinner ten minutes away in Monterey. The menu and photos online looked great though! When you arrive in the parking lot you will see – and think, wow this was gorgeous – a pond, a non-working well and the entrance all surrounded by lush flowers and shrubs. Two hostesses greeted us and we were seated immediately. Amy, our friendly, knowledgeable and solicitous waitress checked in with us, again almost immediately, and we were on our way perusing the bar menu and wine list on an iPad. Amy later recited the specials, which physically caused my salivary glands to go into overdrive, and we made our selections: We shared an appetizer of Deviled Eggs made with spicy tuna over a pepperoni/sausage paste (spicy goodness there that we will definitely try and duplicate at home! ), I ordered the Angus Top Sirloin that came with garlic mashed potatoes and grilled Chard with bacon (couldn’t finish it but Eddie could!) and Ed had filet mignon wrapped in bacon, green beans and a decadently rich scalloped potatoes made with Gruyere cheese. He thought they were the best potatoes he had ever had. As we had been wine tasting all day we were pretty exhausted…so I just had a glass of Seghesio Zinfandel while Ed had a vodka martini. When we were done we asked for a tour. Come to find that there are several private dining rooms for groups of 20, 40, or more. Weddings took place on the property as well as business meetings. The name, Tarpy, belongs to one Matt Tarpy, who, in his day, was well-liked until he turned himself in for killing his neighbor in a land dispute. He was publicly hanged on the same land on which the restaurant now stands. So you want to make wines in the hillside of your backyard, in Mandeville Canyon, Brentwood, California? On a steep hillside, that’s been covered with thick brush for 75-100 years, untouched? And this potential vineyard happens to be behind the home of Donna Mills (yes, that Donna Mills famous from a long tenure as the star of Knots Landing) and Larry Gilman (a name you may also know from his work in the film industry as an actor and producer, and even more so for his high demand as an international speaker for his company, The Mastery Workshops) – and now you are asking are they serious? Mills and Gilman met at one of Gilman’s workshops, about 17 years ago. As they began their life together in Mills’ home, they also began growing their own vegetables. Soon Mills noticed that Gilman had an interest in wine and surprised him with a gift: viticulture classes at UCLA. From there, and being bit by the winemaking bug, Gilman took another look at their land and thought he could do much more than plant salad fixings. He wanted to plant grapes. Gilman…wow…all I could think when he started his slide presentation was, dude, you ARE the kid in the candy store. His excitement kept building as he showed us the before, during and after pictures of all of their work: beginning with clearing the brush and creating access on an extremely steep terrain, to having to give up their first winery name “Ethereal Wines” when they received a cease and desist order from a liquor company with the same name, to finally planting Malbec and Cabernet Sauvignon – in the same year they had just begun the work. During all of this the pair organized a large seated dinner in their new vineyard for friends, which ended with each guest writing a note and attaching it to a vineyard post. With aromas of juicy plum, rich earth, lots from the spice rack, as well as char, oak, mint and pine needles. Well done. Then, in the mouth, I got very big and dark flavors of black cherry, blackberry, cracked pepper, tannic and dry. Wanted to swirl this one a bit, and I ended up enjoying throughout the entire luncheon. Hello blueberry and blackberry, richly layered on the nose along with toasted oak, and slight hints of rose petal, sage and eucalyptus. Very welcoming. Going in for a taste I got the same rich fruit, as well as a nice balance of dried cherry and spice, with a bit of milk chocolate to seal the deal. This one was also swirl-worthy. I enjoyed revisiting both wines several times as they opened up during our 4-course meal. Notes: These are very small production wines. They have 431 plants – 287 Malbec and 134 Cabernet, both #3309C rootstock, drought and disease resistant. Their next release should be 2020. The restaurant is in the heart of Westwood, probably just a few minutes from the Mills-Gilman home. With several private rooms just itching for wine dinners, we settled into one, very expectantly and began by tasting the restaurant’s Tavistock proprietary wines: a NV Prosecco, Veneto; 2016 Pinot Grigio, Delle Venezie; and 2016 Sauvignon Blanc, Monterey. Tasting notes were set in front of us and all I could do was agree, and proclaim that these are wines I would order again. Napa Valley Garden Salad: Sugarsnap peas, asparagus, white balsamic vinaigrette, feta, fried prosciutto with the Pinot Grigio. I especially liked how the prosciutto broke up easily so I could have a little bit with every bite. Skull Island Tiger Prawns: Torched caramelized lemon, herb oil with the Sauvignon Blanc. Once I doused my prawns with lemon juice, and followed Gilman’s example on how to peel the shells away, these were quickly dispatched down the hatch, lovely with the Sauvignon Blanc. Mushroom Broth Pappardelle Pasta: Spinach, goat cheese, walnuts with the 2016 Mandeville blend. Even though this was rich and heavenly, and the wine complemented the dish so very well…I couldn’t finish it…only because I was saving a little bit of room for the last course. Marinated Wagyu Skirt Steak: Red bell pepper tomato coulis, fried peewee potatoes, upland crest pesto vinaigrette with the Mandeville Reserve. Oh yes. What a treat to have Wagyu for lunch, and you can bet I ate every bite as I went back and forth between the blend and the blend reserve, in between every last morsel. Thank you Chef Kenny Spost and staff – truly an excellent pairing! 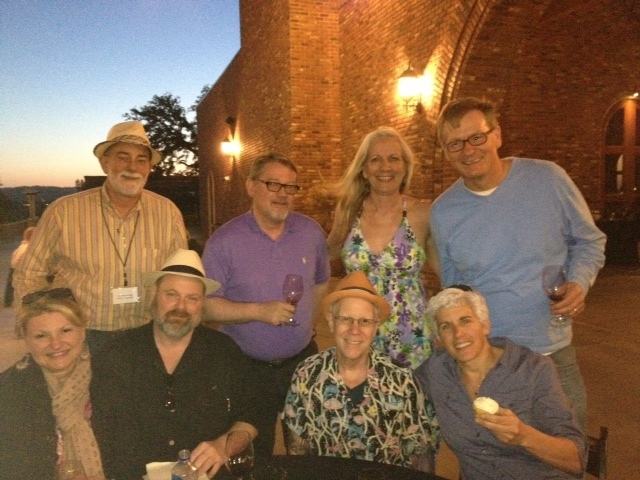 Photos of Larry Gilman, Donna Mills, the wines, Chef Kenny Spost, the dishes and more can be seen here. 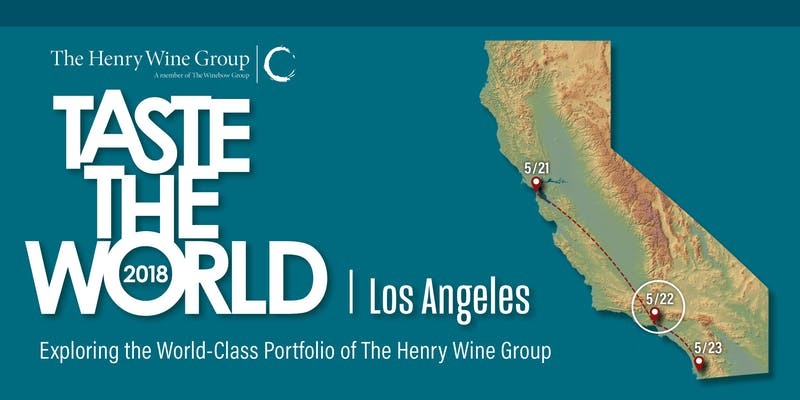 Every two years, trade and media has the opportunity to “taste the world” with distributor and importer Henry Wine Group. In a large ballroom at the Westin Bonaventure filled with wine and a small section devoted to spirits [covered by Eve in a recent article] we got to sample literally hundreds [if one were so inclined] of offerings from a wide variety of domestic and international producers. Ancient Peaks – I always love the Renegade and the Oyster Ridge blends, and the 2015 and 2014 of these, respectively, were both excellent. Andrew Murray Vineyards – Another old favorite, one of the wineries that first got me into Rhones. The 2016 Enchante did it for me today. Dashe Cellars – They’ve expanded their fun carbonic maceration line and continue to make great Zinfandels, including my usual favorite Todd Brothers Ranch (2015 this time). Elizabeth Spencer Winery – I wasn’t really familiar with this Mendocino based winery but getting introduced to their delicious 2016 Grenache solved that problem. 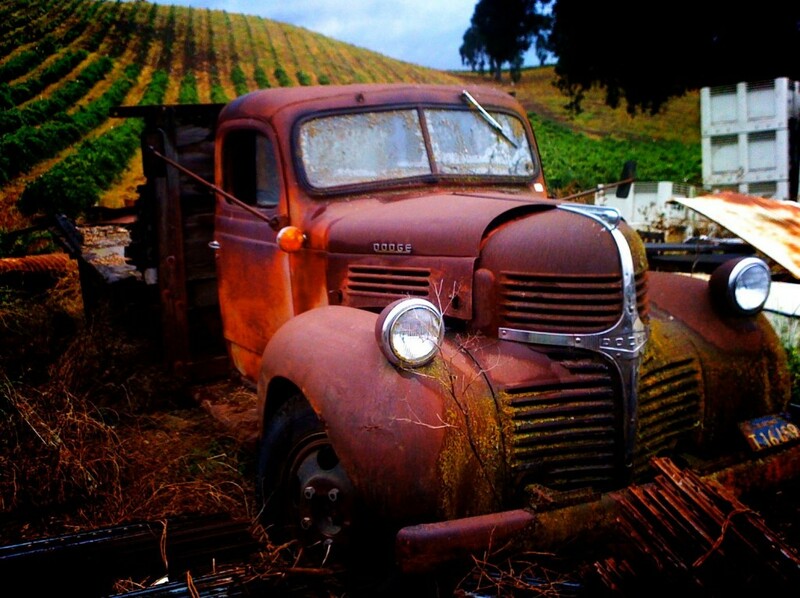 Joullian Vineyards – One might not expect great Zinfandel and Cabernet Sauvignon from the Monterey Peninsula, but this winery in the Carmel Valley belies that notion with their 2013 ‘Sias Cuvee’ Zin and 2014 Estate Cab. Mettler Family Vineyards – I liked all three of the wines this Lodi winery was pouring – the Estate Cabernet, the “Epicenter” Old Vine Zinfandel and especially the Estate Petite Sirah, all from the 2015 vintage. Mundovino – This importer had a whopping 10 tables at the event. Admittedly, I tend to focus on domestic producers but I wanted to try some Argentinean Malbec. I tasted some very impressive wines from Catena at all price points, especially the 2014 Catena Zapata Alta Malbec and the 2015 Catena Zapata Argentino Malbec. Pestoni Family Estate Winery – Another new to me winery, I enjoyed everything they poured – 2016 Rutherford Sauvignon Blanc, 2015 “1892” Field Blend and the 2013 and 2014 Howell Mtn Cabernet Sauvignons. 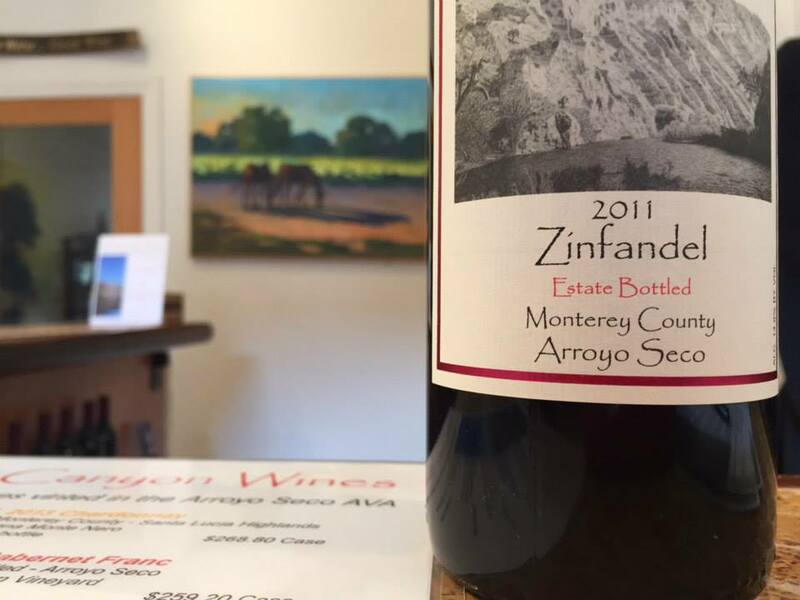 Saucelito Canyon Vineyards – Great Zinfandel from the Arroyo Grande Valley? You better believe it. Their 2015 Estate Zinfandel comes from a vineyard that was originally planted in 1880. Shafer Vineyards – Shafer’s Cabernet Sauvignons are legendary and I wasn’t going to pass up a chance to taste them. Loved both the 2015 One Point Five Stag’s Leap and of course the 2013 Hillside Select Stag’s Leap as well. Sinor-Lavallee – Bringing this list full circle, this is Ancient Peaks’ Director of Winemaking Mike Sinor’s own project. The Pinot Noirs were great but I was admittedly here for the Syrahs – the 2013 White Label – Bassi Vineyard, 2015 SLO/Estate and 2014 Black Label – Bassi Vineyard were all outstanding. There was obviously a lot more I could have tasted [158 pages, after all] but I probably spent too much time catching up with various members of the trade who I’ve known over the years. My biggest takeaway from all this is that Henry Wine Group represents some excellent wineries. If you see their name on the label as distributor or importer, you can be assured you are getting quality, regardless of the price point. 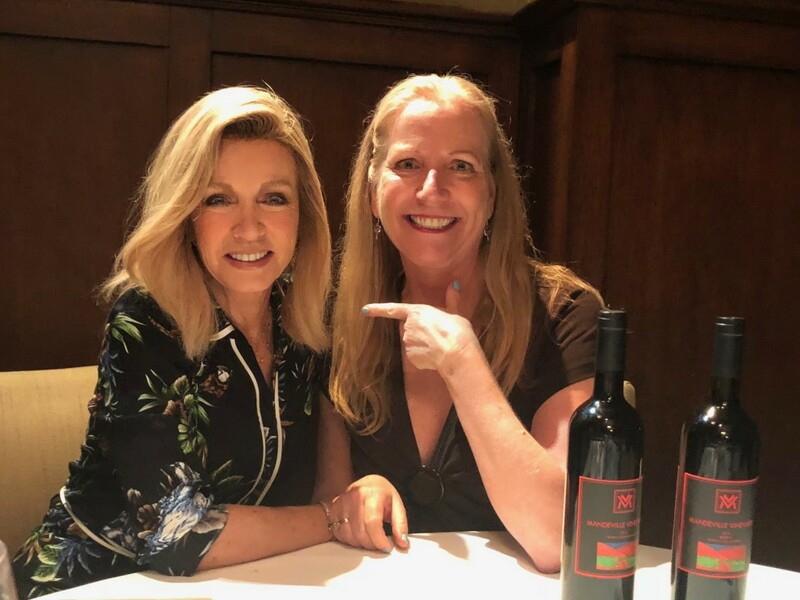 If you are lucky enough to snag one of 80 seats to the release party of Joel and Judy Cox’s latest limited release wine (see below my tasting notes for details) you got lucky – because I gave this very interesting Rosé a whopping 92 Eve points. Appearance – The color of raspberry stretches out from the center of the wine glass until it turns into dark cherry on the edge. Aroma – Maraschino cherry, grape-flavored hard candy, sliced strawberry, and a garden of wild flowers with a hint of white pepper in the air. Flavor – Wondering how long the skin was allowed to stay on, as there is a soft tannin backbone to the same cherry and strawberry fruit found on the nose, though now the fruit is brought more forward. There is no unwelcome abundance of acidity, just enough to slightly tickle the taste buds. Pairing – Anything from fresh fruit to a spicy stir-fry, I’d suggest you try it from your appetizer through to your dessert. Conclusion – The combination of deep color, beautiful fruit and low acid in this wine surprised me. It is not something I’ve tasted too often, and was wholly pleasant! 92 Eve pts. February 20, 2015 – Paso Robles, CA – At an upcoming April 25 H.E.A.R.T.S. 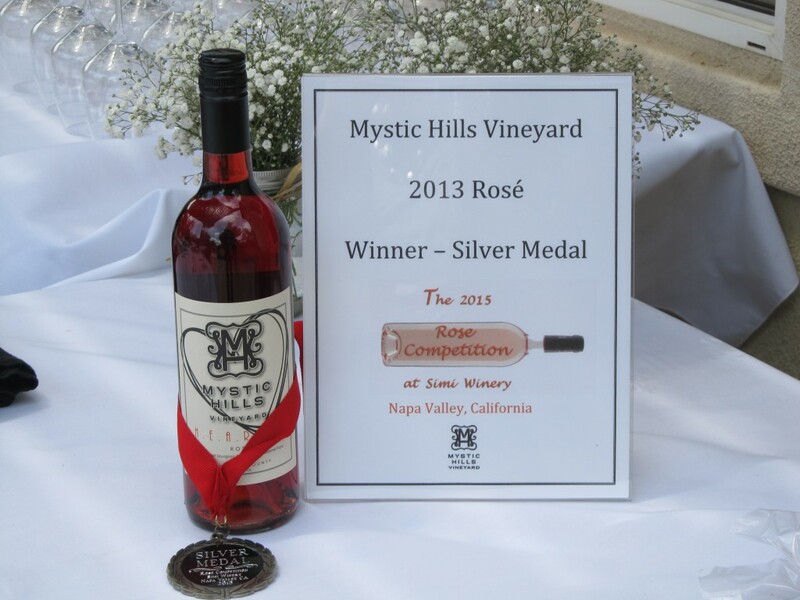 Rosé release party, less than 100 people will be greeted with sparkling wine at the latest sparkling event to come from triple-award winning Mystic Hills Vineyard owners Joel and Judy Cox. Following their first taste will come many other treats that include tastes of their other award-winning wines, food pairings by Chef Chris New of Locally Grown, live music and the main attraction: being one of the first to sample the new limited production H.E.A.R.T.S. Rosé, destined to be another medal winner. The party will be held in a private home in the Santa Clarita Valley, where the Coxes raised their family before moving to Paso Robles. In a nod to most of the Mystic Hills Vineyard “crew” the H.E.A.R.T.S. label represents the first letter of the names of each of the Coxes’ six grandchildren. 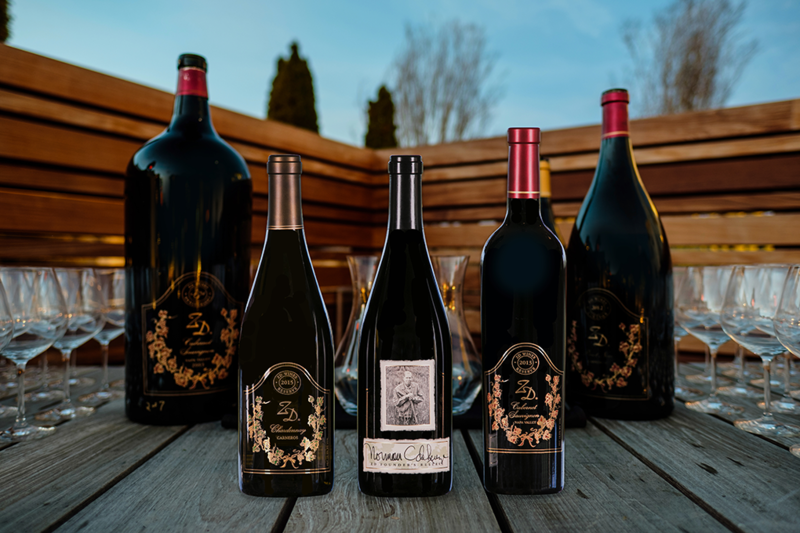 All three bottles in their first vintage were honored by the esteemed San Francisco Chronicle Wine Competition: Mystic Hills Vineyard’s 2011 Unforgiven red blend was awarded a Gold Medal, and the 2011 Sequel red blend and 2011 Cabernet Sauvignon both received Silver Medals. Vintner Joel Cox is also known for his recent Oscar nomination, as Clint Eastwood’s long-standing editor, for the highly acclaimed film American Sniper. For $65 non-members can reserve a spot at the private event held in a Stevenson Ranch home, Mystic members will receive a 20 percent courtesy, $52, on their tickets. The event will run from 2:00 P.M. until 6:00 P.M. Reserve tickets at info@mystichillsvineyard.com, via FAX 805-467-2019 or call (805) 610-1099.